Mortal Kombat series creator Ed Boon has teased a character reveal for Mortal Kombat X, to be announced at the Game Awards on Thursday, December 3. 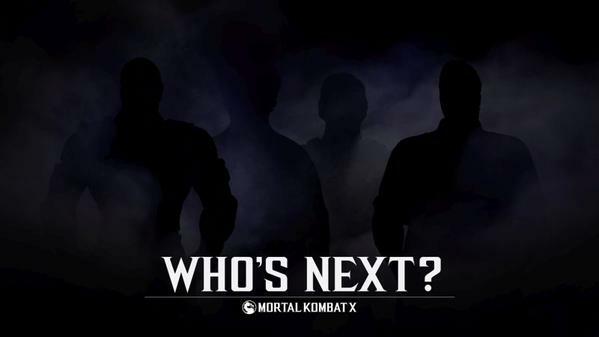 Boon first teased the addition of new DLC characters for the fighting game in September, tweeting an image of four character shadows with the text "Who's next?" Warner Bros. later confirmed that NetherRealm Studios was developing new DLCs for Mortal Kombat X, which would include new playable characters, skins, and a new environment, expected to be available some time in the first half of 2016. The 2015 Game Awards airs at 6 PM PST / 9 PM EST on December 3, where Mortal Kombat X is nominated for Best Fighting Game. You can view the image of the character shadows below, and leave your predictions in the comments!